I ordered the 2week free trial for $4.99 and didn't realize I was automatically signed up for monthly charges to my credit card. The charge of $74 plus was charged and my credit card company contacted me immediately to advise me of a suspicious charge to my card and ask if I had made that purchase. I advised them that I had not, not knowing about the membership requirement listed way down in the ordering info! I consider that a sneaky tactic and my card company refused to pay for the purchase, thank goodness! About a week later I received a one month supply of instaflex! I have not even begun the two week free trial supply yet and why would I order a monthly supply of anything that I don't know whether it will be effective for my pain? Any way, I am preparing to send it back but noticed I have to call the company to obtain a "RMA number" or they won't accept the return package! 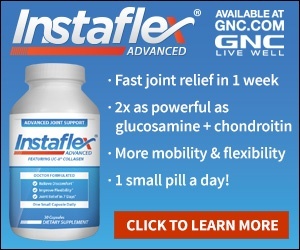 Product or Service Mentioned: Instaflex Membership. Review #1503806 is a subjective opinion of TrickyInsect960.